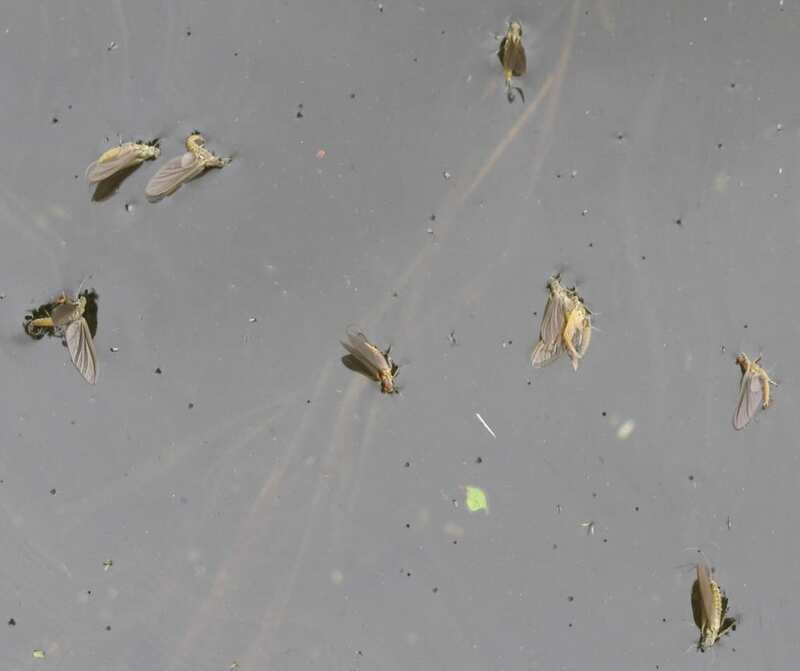 Big hatch of mayflies on Indian River. Early date? Yesterday, May 8th, about 4pm, we witnessed something we have never seen before. 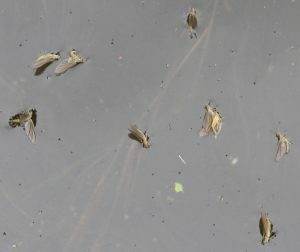 Hundreds of dead or dying mayflies were floating downstream carried by the brisk current or were gathering in the stillness of our little bay. The local fish population were taking full advantage of the sudden bounty. 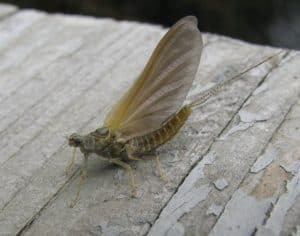 I managed to scoop one insect up for photo identification and deposit it on the dock where to my surprise it soon recovered and started to crawl about. I’ve attached two of my pictures. This morning there is no sign of any Mayflies on the river at all. I understand that mayflies usually swarm in June. If this is indeed the aftermath of a swarm, it would appear to be somewhat earlier than usual.